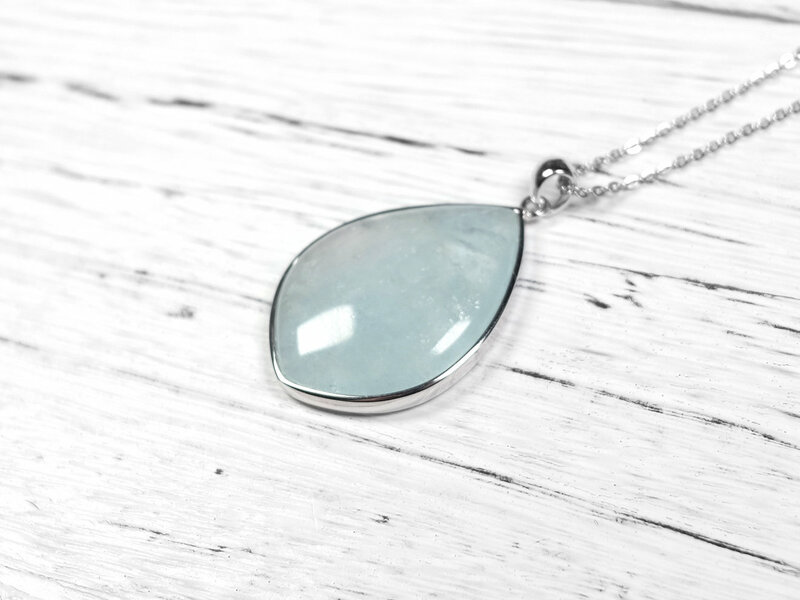 A simple elegant necklace using a high quality aquamarine. The color is comforting sea blue color with little to none black spots. 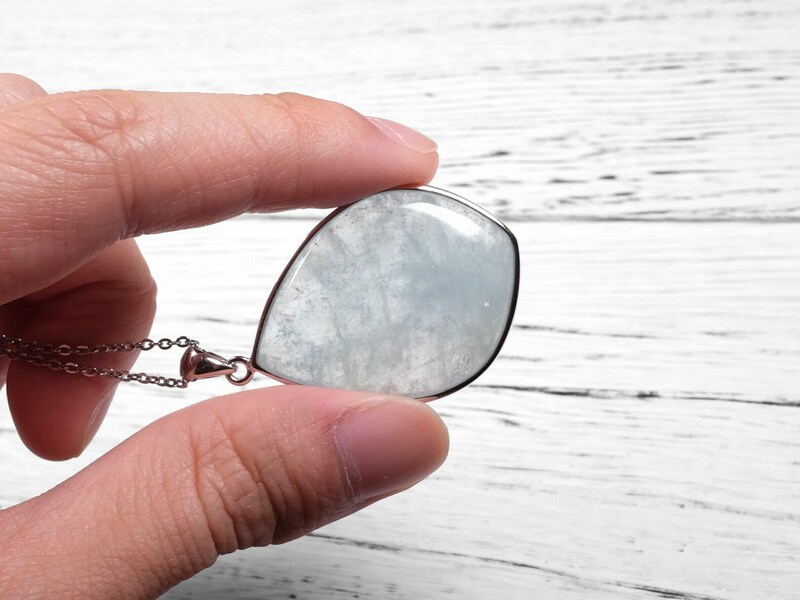 The size of this aquamarine is pretty big as you can see in the photos. It also has nice clarity in some parts of the crystals. 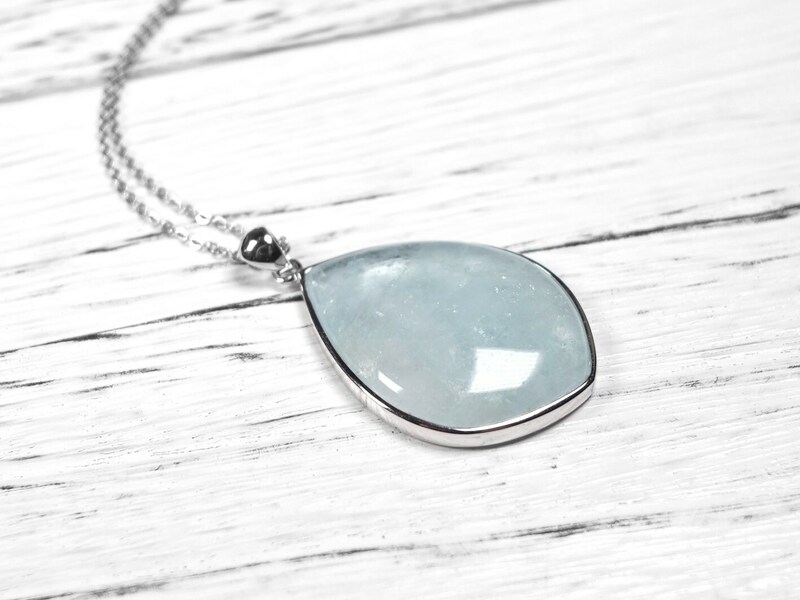 The aquamarine is set in a 925 sterling silver setting, making it a great way to wear this iconic gemstone. 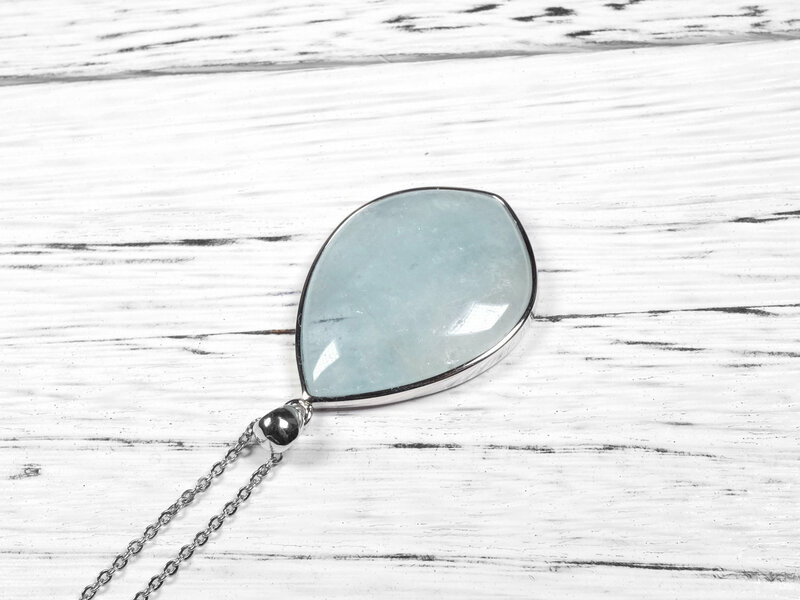 Aquamarine is the blue variety of the mineral beryl. 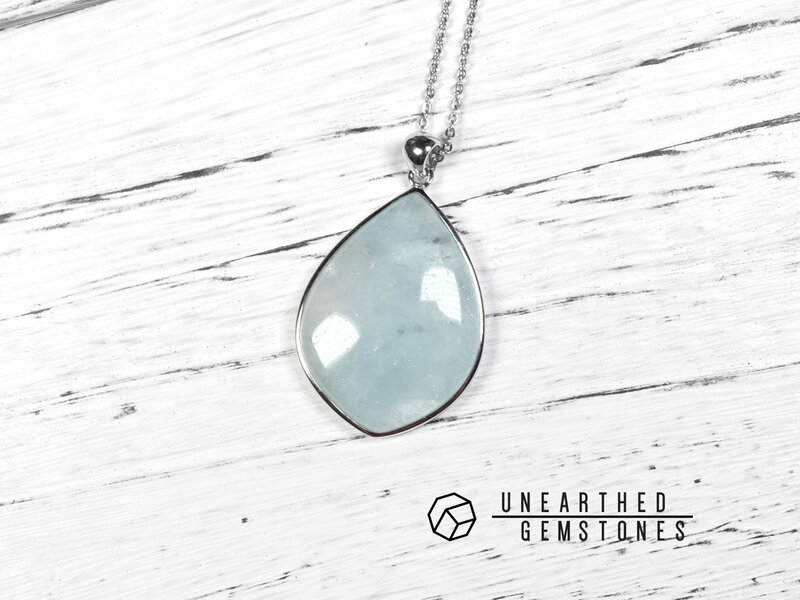 Other beryl gemstones include emerald and morganite. 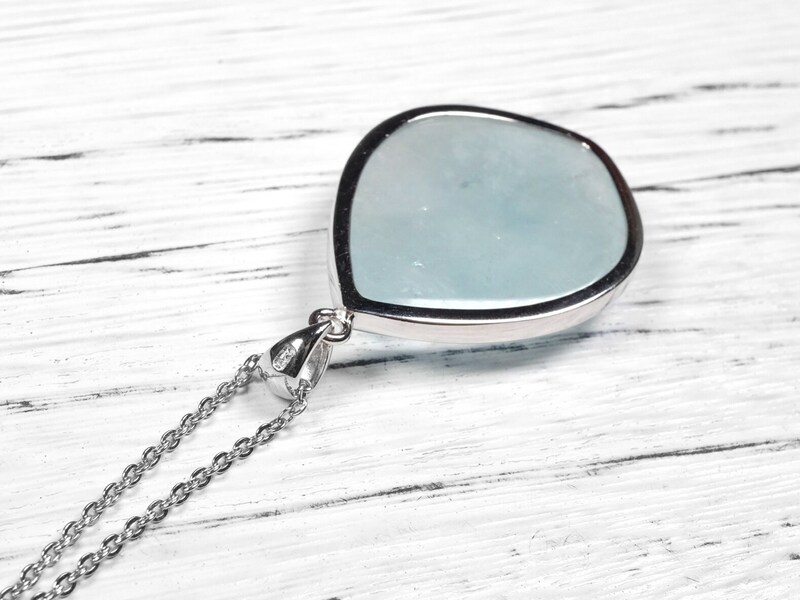 The name aquamarine comes from Latin, which means “water of the sea”. 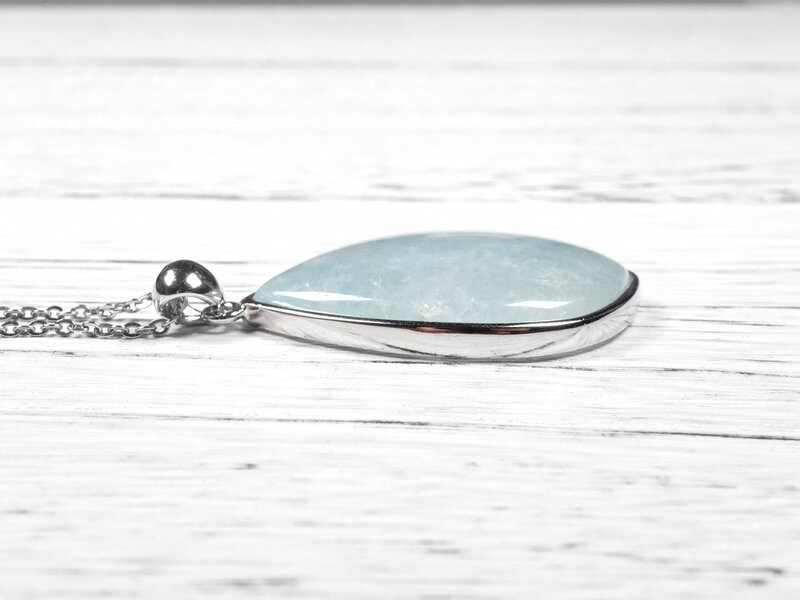 In ancient times, sailors wore amulets made with aquamarine for protection. 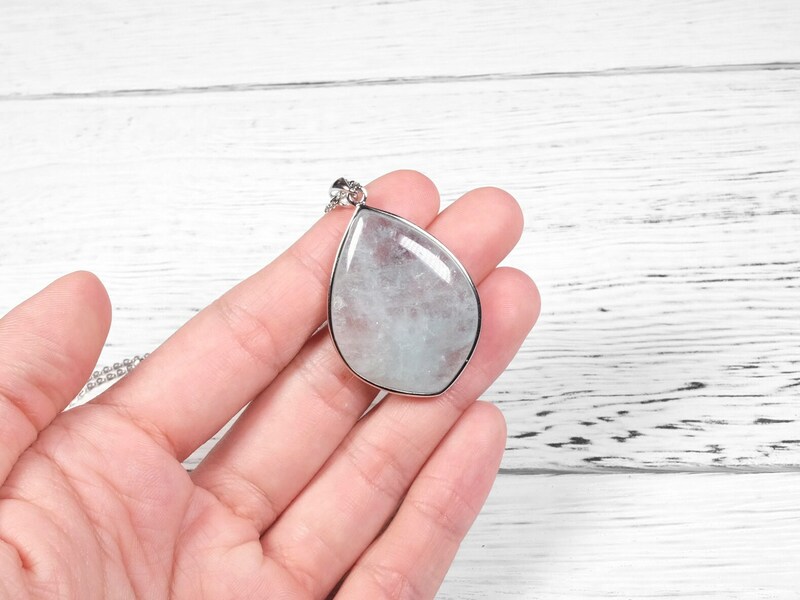 It has been a popular gem for jewelry throughout history. 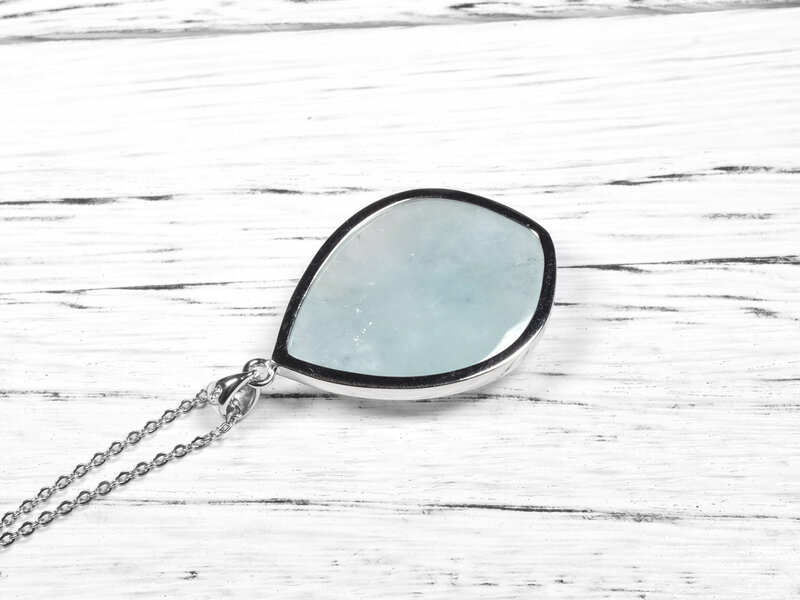 Aquamarine is a birthstone of March.